Caffè Motta, the Italian company of excellence in the production of high quality roasted coffee, is to attend the 19th edition of Cibus, the International Food Fair in Fiere di Parma from 7 to 10 May 2018. Caffè Motta will be present at the trade show with a space set up in Hall 6 (stand G010) in which the best of passion, know-how, and commitment to quality excellence in coffee will be displayed alongside the new brand image, which started with a recent restyling of the logo and the packaging of all the lines. 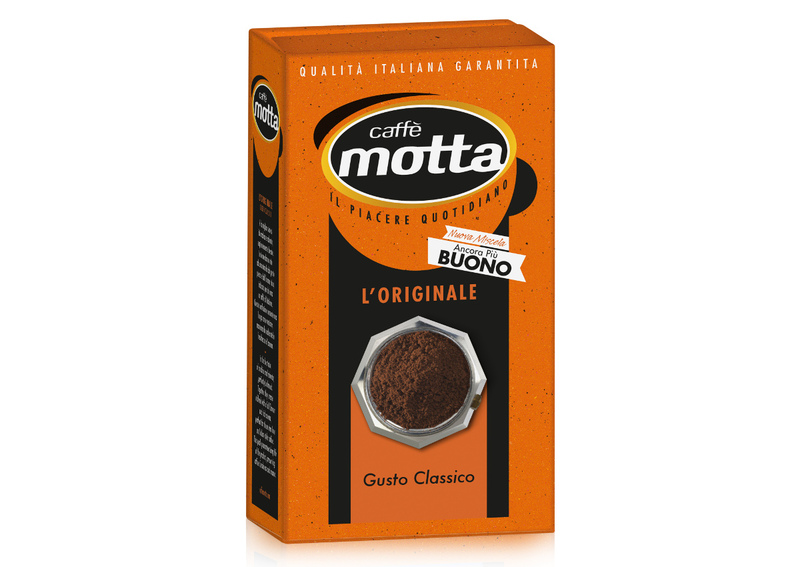 The brand and packaging redesigning have been developed by the company from Salerno, in collaboration with Robilant Associati, with the aim of accentuating the traits of shelf recognition and visibility of Caffè Motta. The logo restyling has certainly become more distinctive with the introduction of the cup – explains Nicola Mastromartino, CEO of Caffè Motta. We chose to renew the graphic layout relying on an essential concept with a strong impact, able to tell the final consumer the only really important thing: the quality of the coffee.